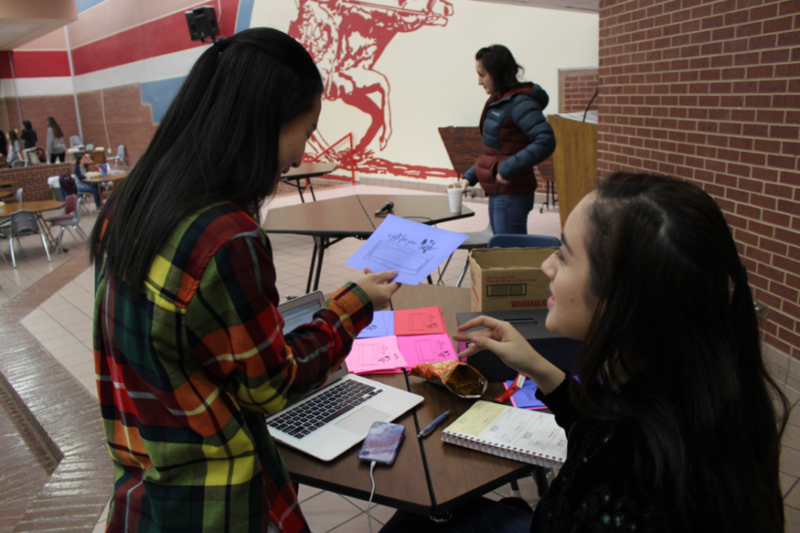 Coppell High School senior Student Council officer Ashley Benyahoun sells carnation grams to senior Sol Hong on Thursday during lunch in the commons. The CHS Student Council is holding a Valentine’s Day Carnations fundraiser where students buy and request carnations to be sent to their friends or teachers. Carnations costs $1 each and are sold during all lunches in the cafeteria through Friday. The Student Council has began hosting the Valentine’s Day Carnations fundraiser for students to buy carnations for their friends and teachers on the special day. The price is $1 for each carnation and is sold during all lunches in the cafeteria the week before Valentine’s Day. The carnations will be delivered to students or teachers in their third period class on Wednesday. The fundraiser is inspired by Candy Grams, where students buy candy instead of flowers for their friends on Valentine’s Day. 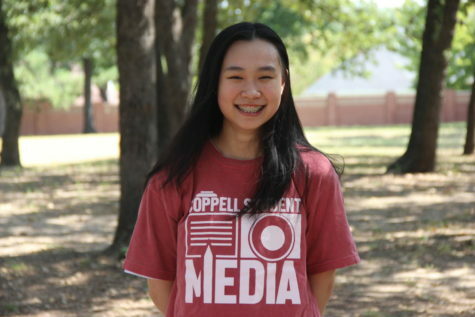 “[The fundraiser] is great because it’s really meaningful for the person you send it to,” junior Dawt Sung said. As of Thursday, Student Council has sold more than 200 carnations. 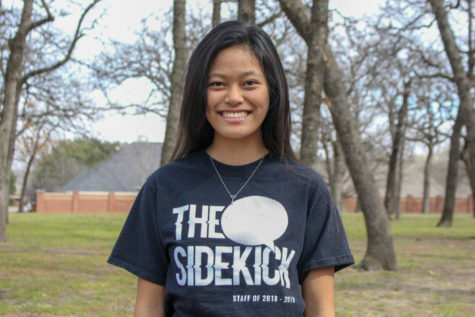 The Student Council hopes to continue this fundraiser in the future.